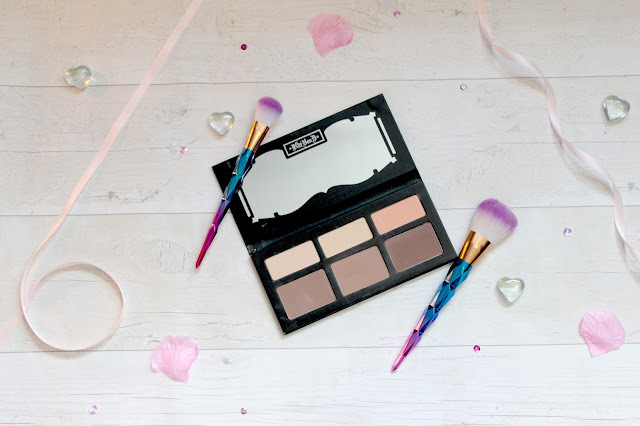 So I'm here for a beauty post today and thought I would come back with my current favourite palette, As I keep stressing I'm slowly getting back into blogging so my posts may be a little sparse for a while. 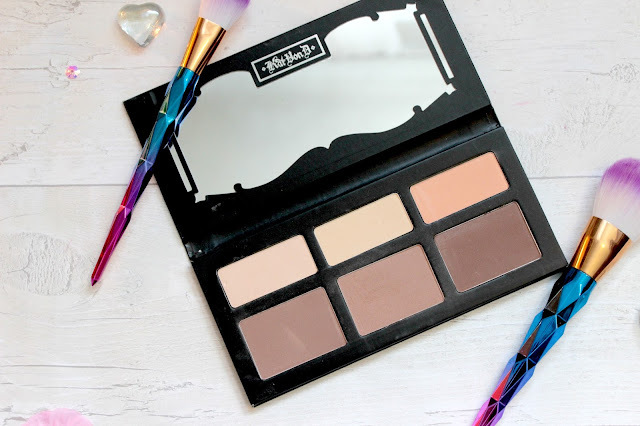 So my current favourite palette is the Kat Von D "Shade And Light"face contour palette which I picked up quite a while ago now and if anything I've barely used the palette until recently as I just didn't see the hype with the palette but my thoughts have completely changed. I recently got this out as I was wanting to try some of my make-up I just don't pick up so I decided to give this another go and was I happy I did? Yes. I used to think none of the shades suit me but I've changed my mind I use the lightest contour shade to of course contour and I feel as though it's the perfect shade for me and I use the shade above to set my under eyes as I feel as though it illuminates my under eyes when I need that little pick me up (When I haven't had enough sleep!) The other shades are a little too dark for me so I feel as though I can't make them work for me but if anything I'm happy to use this palette just for the first two shades as they work perfectly together. So onto the packaging which for me I really like the packaging of this palette as I love the black with silver writing on the front with the big mirror which means if you were taking this travelling you have the perfect sized mirror and overall I think the packaging just fits with the make-up line. So I thought I would do a close up of the palette just so you could see it a little better if you've never seen this palette before but I'm pretty sure everyone owns this palette but if you don't I would definitely recommend it, I mean the packaging could be made smaller so you could just have the contour shade and the highlighting powder in a compact palette so you don't have to have a palette with all the shades in one but if anything it doesn't bother me but just a note to add about the palette as all the shades in my opinion can't be used for everyone. I feel as though I've rambled throughout this post as I still feel as though I'm finding my feet when it comes to blog posts but hopefully this post made sense.